If you’re familiar with James Patterson’s books, then I’m sure you’ve noticed that Patterson likes to co-write his books with other authors. Over the past year, I had decided to do an informal test of sorts: I would read a variety of Patterson books and see if I could discern a style and/or writing difference between the books that he writes with different authors. Well I can say, not even halfway through my test, that I was correct: the books he writes with various authors have definite differing writing styles! My current favorite pairing? James Patterson and David Ellis. I’ve made my way through all of the books they have written together and blogged about most of them as well. The Black Book by James Patterson and David Ellis was my latest read. This book has all the elements that hook me in fiction: murder, thrills, suspense, crime, fast-paced, entertainment, etc. The blurb hooked me in and I knew I would enjoy it. Now onto the description! Billy Harney’s family is a family of cops. His father is the Chief of Detectives while Billy and his twin sister, Patty, are also detectives. Being a cop, especially in Chicago, means that Billy is willing to risk anything for his job. It’s just what you have to do to solve a crime. Billy soon finds himself embroiled in a massive crime conspiracy with far-reaching implications when he is shot in the head and left for dead. Billy is believed to be dead when he is discovered alongside the bodies of his former partner, Kate, and an assistant district attorney, Amy. Billy’s sister and father are on hand right after the bodies are discovered. Both emotionally distraught and furious about the theories being thrown around, Patty and her father demand re-tests and to be included in the investigation. With Billy suspected of the murders of both Amy and Kate, investigators are anxious to figure out what Billy remembers about the shooting. There’s a slight problem: Billy remembers absolutely nothing about the shootout, as well as the two weeks before. Billy becomes an outcast in the police force and is publicly ridiculed when he is charged with double murder. Rumors swirl through the community as everyone tries to figure out what really happened in the bedroom where such carnage took place. Told through flashbacks to the past and glimpses into the present, readers are privy to Billy’s valiant attempts to clear his name. With visits to counselors and walks through the neighborhood, Billy retraces his steps to try to figure out what he was working on that resulted in two murders and his own injury. 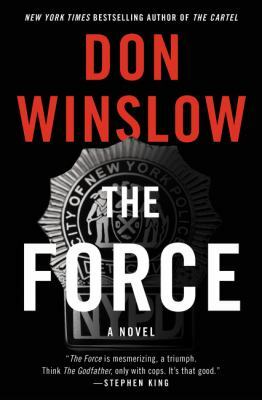 His memory of the two weeks before refuses to come back no matter what he does, but what Billy does remember is the department’s intense desire to find a little black book that is proving crucial to a major investigation. Without it, the perpetrators will be set free, but with it, multiple high-ranking city officials and famous individuals could get in serious trouble. Desperate to prove his innocence, Billy is willing to do anything to remember the crime that happened in that bedroom as well as what happened in the two weeks before. Digging into the past proves increasingly dangerous as Billy discovers that everything he thought was true is not. Everyone he thought he could trust: double crossers. The only solid person he can truly rely on is himself and the only events and recollections he can trust are the scattered pieces he can pick from his messed up memory. 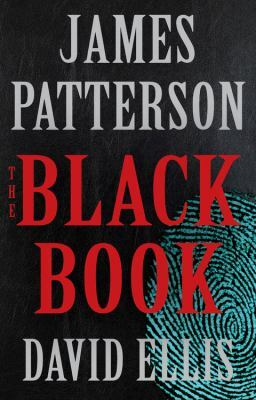 The Black Book by Patterson and Ellis was an engaging read that had me constantly trying to figure out what had really happened. I really enjoyed the flashes to the past juxtaposed alongside the present. This book also gives the point of view of Billy’s sister, Patty, which adds necessary suspense and drama. Give it a read (or a listen) and let us know what you think! John Grisham is an author whose name, when I was younger, always had me cowering because he seemed to write SO MANY BOOKS. He’s up towards the top of the famous author list in my head alongside Nora Roberts, Stephen King, Danielle Steel, and James Patterson. Those five authors are all ones that I never really felt the need to read when I was younger because everyone was talking about them or reading them. Now as a librarian, I’m making my way through the authors that I previously steered away from. Current author choice: John Grisham. 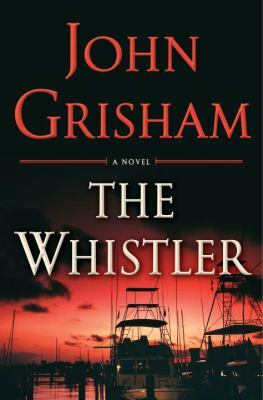 The Whistler by John Grisham is a darkly mysterious, dangerous, and suspicious read. We all expect our judges to be ethical and balanced, but what happens when one goes rogue? The Florida Board on Judicial Conduct is responsible for investigating complaints that deal with judicial misconduct. Lacy Stoltz has been an investigator for the Board for the last nine years, something that gives her great joy, but also can give her headaches. Lacy is a lawyer, not a cop. This distinction is key to her job. The cases reported to her usually end up on her desk due to sheer judicial incompetence, not actual corruption. One case, however, lands on her desk that is so corrupt and a bit convoluted that Lacy and her coworker believe it may be made up. Investigations ensue! Greg Myers, a previously disbarred lawyer with a new identity, has dropped this bombshell case on Lacy. He alleges that a judge in Florida is stealing millions of dollars and is more corrupt than any judge in the entire United States. Lacy must figure out where that money is coming from. That investigation leads her to the shady dealings and construction of a large casino built on Native American land. The Coast Mafia helped to build the casino and, as a result, is skimming money from the till. The leader of the Coast Mafia felt it would be best to have a judge in his corner, so in return for looking the other way and making sure certain cases fall the way of the Coast Mafia, the judge is getting some money too. How Myers’s informant came to know this information is messy, but the informant is keen on the fact that under Florida law they can collect millions by being a whistleblower. Lacy and her colleague are immediately suspicious of this complaint, but once it’s filed, they must investigate. Full of dark twists and turns, this book had me on the edge of my seat a few times. I’ll admit that it took some time for me to get into the plot, but I’m pretty sure that’s because I had listened to a very light and fluffy read before this. Highly recommend.